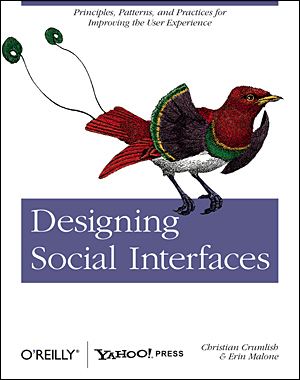 Last May I was given the great privilege to write a sidebar in Christian Crumlish and Erin Malone‘s fabulous new book, Designing Social Interfaces. The topic I was asked to write about is “onboarding” — designing welcoming experiences for new users by easing them in. You might have seen a couple blog posts that I’ve previously written about how Plurk and Yahoo! Shine handled the onboarding process. When you’re done reading, do yourself a favor and buy a copy of Designing Social Interfaces. It’s a must-have for anyone involved in designing and developing social products and services. Erin and Christian, thank you so much for allowing me to be a small part of your tremendous project. I’m certain the book will be a bestseller, and the patterns will likely spawn a whole line of useful products for practitioners. Best of luck to you both! When left to their own devices in a new space without any sense of direction or purpose, many users can feel lost, overwhelmed, and confused about what they’re supposed to be doing there. The user might have arrived at your site from a link in an article, an organic search result, or on the recommendation of a friend. In essence, the user is taking a leap of faith that she will be able to achieve something on your site, and it’s your responsibility to shake her hand and show her the ropes when she gets there. They say you don’t get a second chance to make a first impression, and on the Web it’s truer than ever. If you don’t capture the attention of new visitors from the moment they arrive and guide them on their initial journey through the site, they won’t learn that the benefit you provide outweighs the cost—their time and effort to participate—and as a result, won’t stick around very long. Worse, they’ll tell their friends not to bother visiting, either. Onboarding is the process by which you can help users overcome the cold-start problem—a blank profile, an unfamiliar interface, a general feeling of “what the heck do I do next?” Many websites force users to start from square one and build up content (and value) over time. Social apps in particular are prone to this because so much of their usefulness is derived from person-to-person interaction and user-generated content. Oftentimes, the true value of your product or service becomes apparent only after significant use—perhaps because the user needs a sizable social network to really reap the benefits, or because continued activity on the site ultimately leads to something, like better recommendations. But don’t make the mistake of assuming that your users will stick with you that long. You need to help them get there as quickly and painlessly as possible in order to make your case. Designing the onboarding process for your site is most commonly limited to a first-time use scenario: from the moment just after a user has signed up until the end of his first session. There are certainly extended approaches you can take to consider the user’s needs during subsequent visits until he is exhibiting a desired behavior on the site, but exert caution, lest you be seen as too heavy-handed or pushy. Typically, once a user understands the lay of the land, he wants to be left alone to explore. One of the best and most often-cited examples of an onboarding process is on Tumblr.com. Tumblr proudly calls itself the easiest way to blog and goes to great lengths to prove its point. The sign-up process itself is dead simple—just a single form to provide an email address, password, and desired URL. Once the user confirms her credentials by logging in, she is presented with the main interface and blogging tool, but most of the page is dimly lit. Her attention is directed to the toolbar, and a large bubble tells her exactly what to do next: “Create your first post!“. In actuality, there are a dozen things she could do from here, but the guide is making a decision for her. By limiting the user’s focus, Tumblr ensures that she is significantly less overwhelmed by the options at this point, while simultaneously being trained on the primary purpose of the product—to create content. As the user mouses over each of the post options, only the subtitle changes: “try writing about something you did today”; “try linking to a cool website you like.” The language is clear and concise, the value inherent to the directive, and the user begins to conceptualize the variety of things she can achieve with the product despite the very simple interaction that is required. At any point in the process the user can “x-out”—close the large bubble and exit to the main interface—without further interruption, but the copy and visualizations are compelling enough to urge her forward. Once the user posts something, the next step in the onboarding process is to customize the blog. Now everything on the screen is dim except for the location of the Customize link. Not only is the user being taught about the ability to customize, she’s also learning where to access the functionality later on when she needs it again. Now that the user knows how to post content and customize her blog, the last step in the onboarding process is to “Follow some cool people!”. 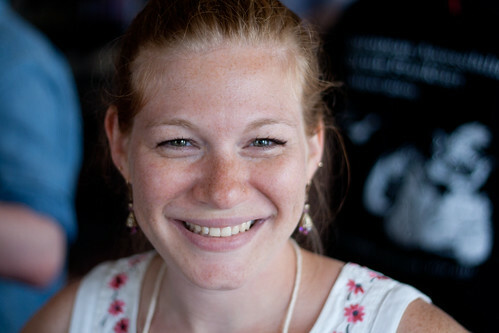 One of the biggest differentiators for Tumblr is its highly active community, but until a new user is connected to several other bloggers, she might not truly comprehend its magnitude. Tumblr overcomes this by encouraging users to find their friends early on, in a variety of methods. A user can scan for contacts in an existing email address book, or follow people under Staff Picks, Music, or Art and Artists. By observing the usage patterns of these popular and highly active users, new users will most quickly understand how to use Tumblr to their advantage, nearly guaranteeing more frequent use of the site. Onboarding can sidestep the sign-up process entirely. TripIt, a travel itinerary and planner site, allows users to simply forward the site a recent travel confirmation email and TripIt takes care of the rest. By sucking in all of this content automatically, TripIt removes any effort new users have to put into the first-time experience and can almost immediately present the site’s value. They do have a sign-up process (just an email and password), but it is not required to see their tools in action. This strikingly reduces the barrier to entry and is still rare enough to make a user sit up and take notice. Suffice it to say, there are a variety of ways to handle a new user orientation. The user’s mindset and the site’s business goals, brand identity, and value proposition must all be taken into account. After all, this is the first impression, and you know what they say about those. Great information. When you consider that you only have seconds to influence your new site visitor, it is crucial to take a 'scientific approach' to designing your homepage. Understanding concepts like onboarding and applying that knowledge is the difference between a successful site and one that just languishes. Great post Whitney! Especially the part about inline help. Thanks so much for your comment and thoughtful addition. Great info! This was really helpful. Looks like garbage in IE8. Certainly not your fault Whitney, but suprises me considering it's a design book. I'd include a picture but I'm nost sure how. Thanks for the post Whitney! Kevin – sorry the page looks so bad in IE8. We threw together a page with CSS for the main page and then used Mediawiki – pretty much straight outta the box for the Patterns wiki. I have shifted the homepage to wordpress and a decent wordpress theme and we are working with a designer to come up with a cohesive, well designed system for the site, the blog and the wiki. Since we are both working primarily as Interaction Designers, and are busy with work and speaking and other things related to the book, we had to reach outside for help and it's still in progress. Keep checking back though – I want to make sure we work well in IE as much as Firefox and Safari. And thanks Whitney for the thoughtful essay to go with our patterns on this topic. Helps give the ID patterns shape and context. Whitney–enjoyed your post and liked how you used the metaphor of “onboarding” as a way to envision “guest management” within a website visit (or any digital experience). To take the metaphor to its conclusion, what would the “exit interview” look like?